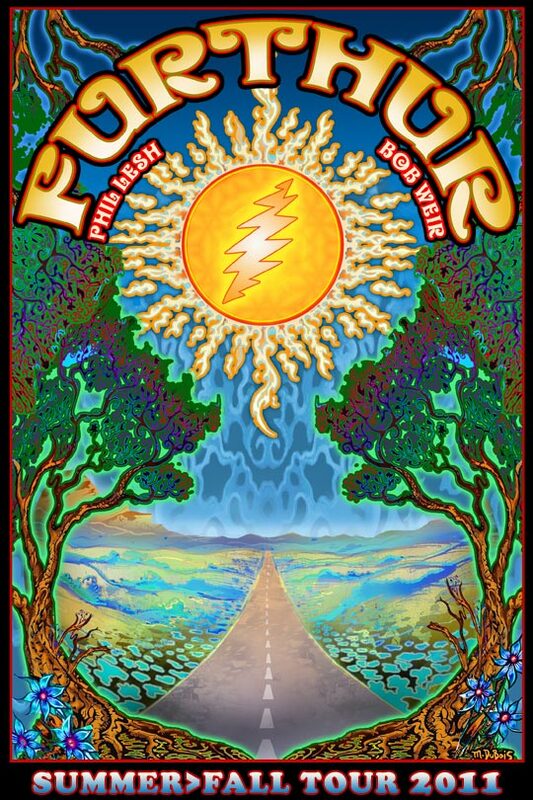 lizlo-biznach: Furthur down the road!! We are going on a family tour down the road...wahoo! 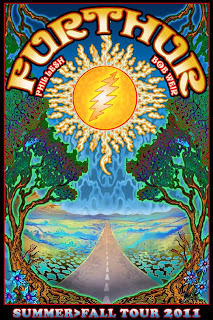 The St. Augustine Amphitheater is hosting Furthur tonight and we are all going... Lil P, Special K, Papa Bear, and Me. This will be our first and hopefully not last family concert. I'm just excited to see the band and feel the vibe of a bunch of crazed folks dancing and singing. I tried to see the Dead years ago and actually held tickets to their show and was not able to get out of work...I know shoulda quit :) but it was a really good job. The next time I tried my luck to score some tickets at the venue, which also happened to be when a crazy out of control situation went down and the O-town police maced 100's of folks. Boy, what a night to remember...not! and again I missed the show. Then the unfortunate happened and Jerry died just days before my 19th birthday...very sad for so many people who loved and followed him. She follows me on all my adventures. So now on to make new memories, may they go down in history.